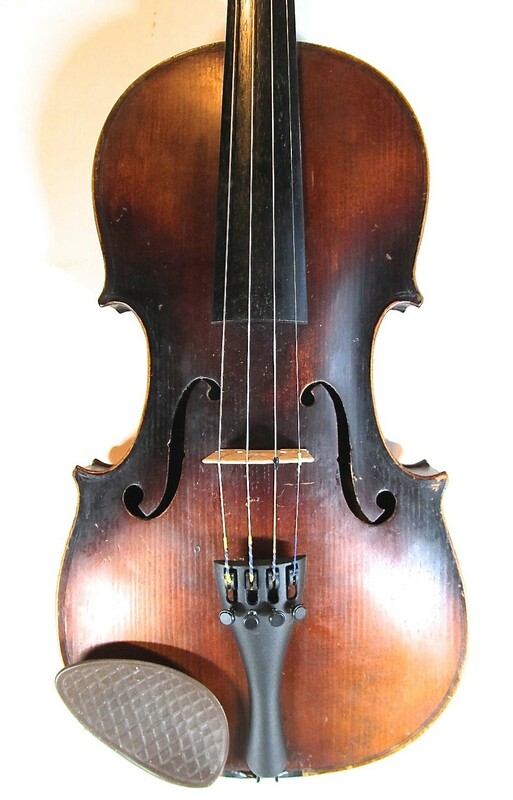 Early to mid twentieth century German violin, unlabelled. 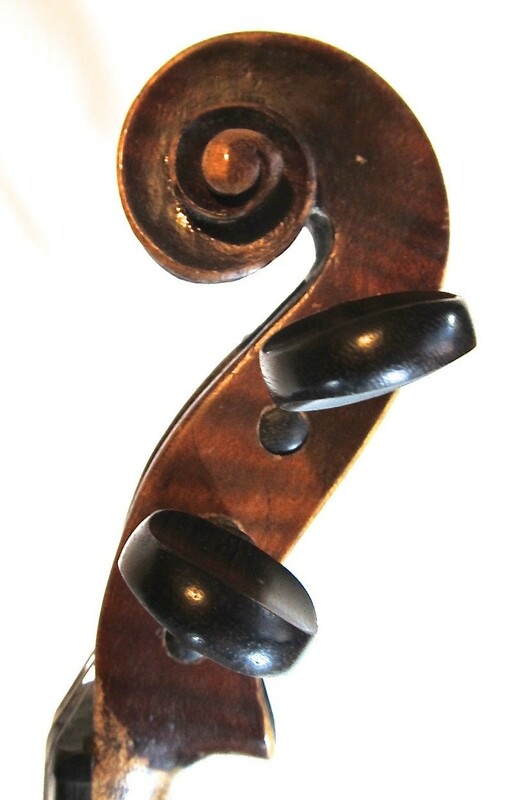 Made with good woods and has very attractive dark varnish over a golden ground. Very good sound; mellow and sweet with plenty of power. 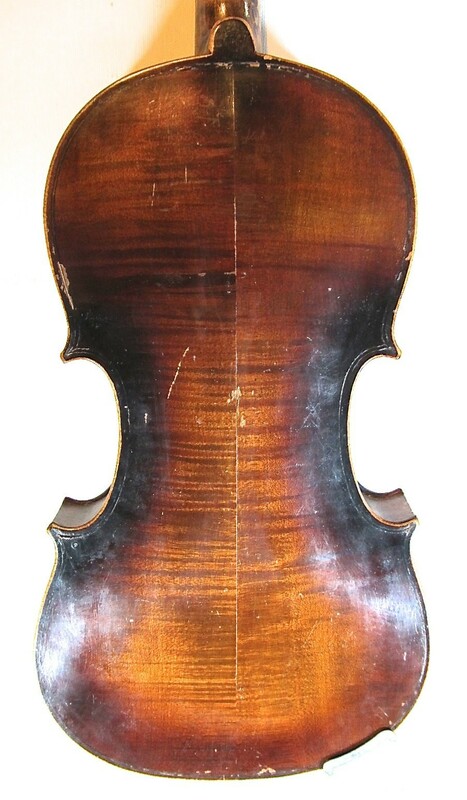 Condition: The back seam has separated and been repaired with internal cleating. Otherwise just the usual knocks and scratches. 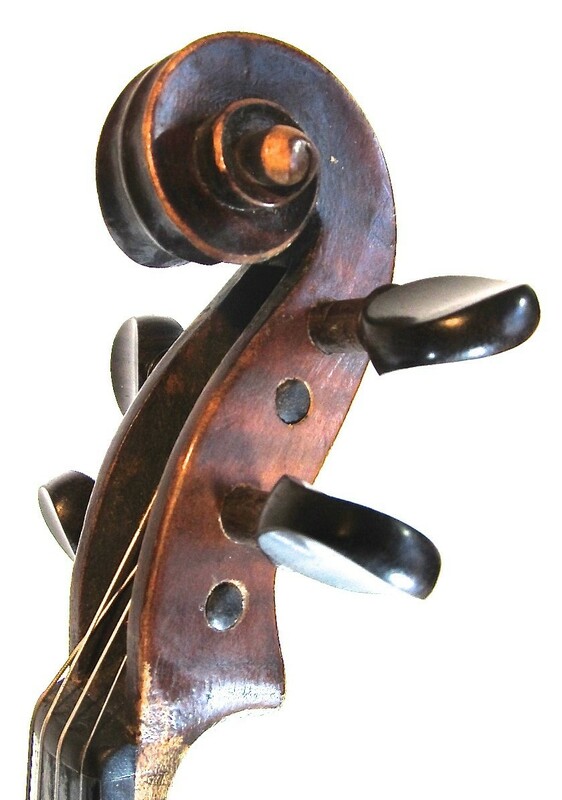 Set-up: New rosewood pegs, new sound post and Aubert bridge, new Wittner tailpiece and Helicore strings.